Honda decided to keep the basic features of the 2017 Honda Civic unchanged in the 2018 model. Features from 2017 include a four door hatchback model that will remain an option for the 2018 Honda Civic. 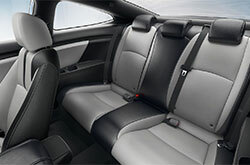 There are several trims available for the Honda Civic. The base trim is the Honda Civic LX. The other available trims are the EX, EX-T, and the Si. Even though the Honda Civic is just an entry level model, Honda is outfitting some of the trim packages with LED headlights. 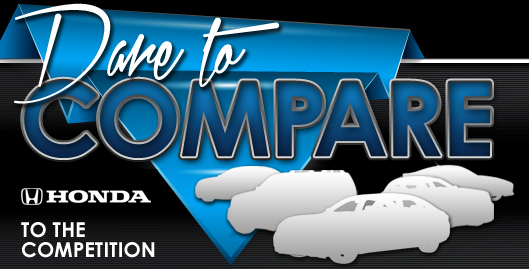 This makes the Honda Civic competitive with luxury cars offered by manufacturers like BMW and Mercedes. 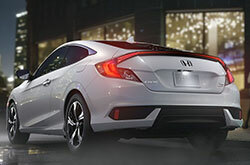 The Honda Civic has different engine options available to suit a buyer's taste. 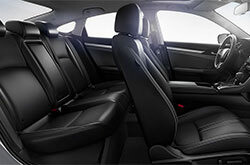 The base engine is a sporty 2.0L inline four cylinder with 158hp. Paying more for a faster ride gets you the Honda Civic's inline turbocharged 1.5L engine with 174 hp, according to Motor Trend. The Type R Honda Civic will be very sporty with a turbocharged 2.0L four cylinder engine. The 2018 Honda Civic has received a 5 star rating from the U.S. National Highway Traffic Safety Administration**. The 2018 Honda Civic has a wide variety of safety features that give you confidence on the road. It also has a digital assistance service system installed. The Honda Civic is equipped with an anti-theft alarm system. The 2018 Honda Civic is a safe, modern, and affordable vehicle that your family can treasure for generations. It has what it takes to make your daily commute inexpensive and fun at the same time. If you are interested in learning more about the 2018 Honda Civic, be sure to schedule a test drive here at our dealership. Qualified and professional sales staff can walk you through all of the features of the Honda Civic for the 2018 model year. What are you waiting for? Find your Civic now!